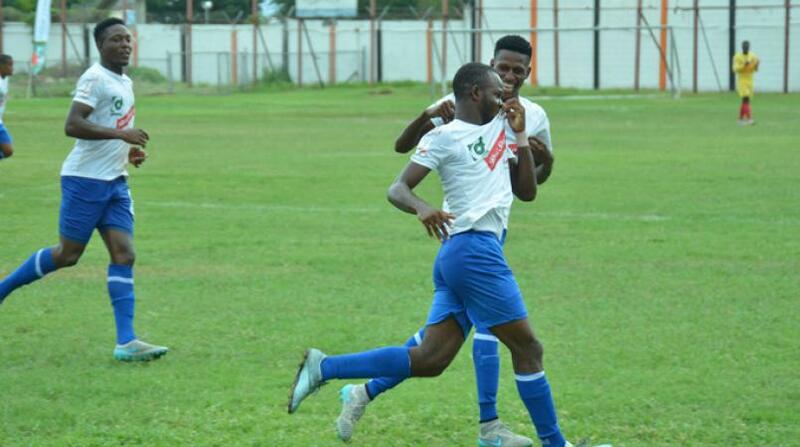 Portmore United have maintained their lead in the points standing despite being held by Harbour View to a draw on Sunday. Waterhouse and Mount Pleasant Football Academy battled to a 0-0 draw at Drewsland on Sunday in the Red Stripe Premier League football competition. The result allowed Portmore to maintain the lead in the points standing despite being held by Harbour View to a draw. Both teams failed to find the back of the net with both goalkeepers making brilliant saves in the second half to deny their opponents full points in front of a capacity stadium. 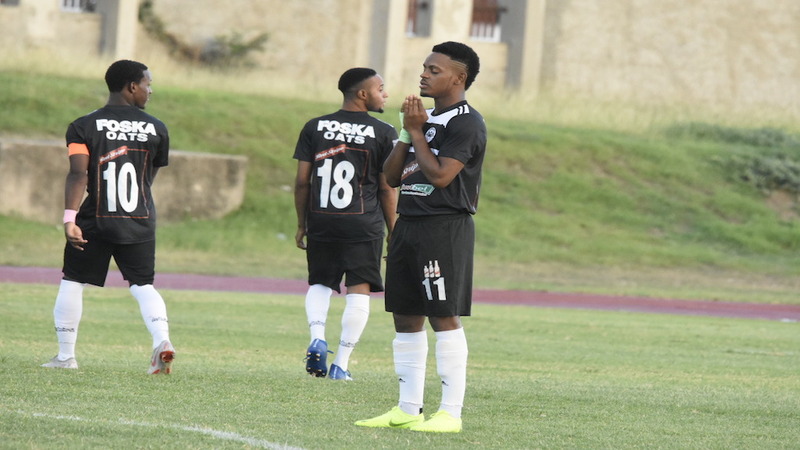 Waterhouse, who ended the match with 10 men, after the ejection of Damion Binns five minutes before the end of regulation time, remained second in the competition on 42 points, two behind leaders and defending champions Portmore United. Mount Pleasant also maintained their position in the table - fifth on 35 points. They were passed in the points standings earlier on Sunday by UWI who defeated Humble Lion 2-1 at Mona Bowl to move to 36 points, however, the point earned in the draw places them ahead of Arnett Gardens, who had lead them on goal difference starting the day. Meanwhile, Portmore managed to remain at the top of the standing despite drawing 0-0 with Harbour View at Spanish Town Prison Oval as they are now 43 points with Harbour View moving to 25 and remaining ninth. Dunbeholden, on the other hand, elevated themselves above the two-team drop zone with a 3-2 victory over Montego Bay United at Wespow Park. Goals by Demareo Phillips in the 19th minute, Dean-Andre Thomas in the 38th and Narado Brown in the 67th gave Dunbeholden the victory against Montego Bay, who had Deshane Beckford scoring in the 28th and Trevaughn Walker five minutes into added time. 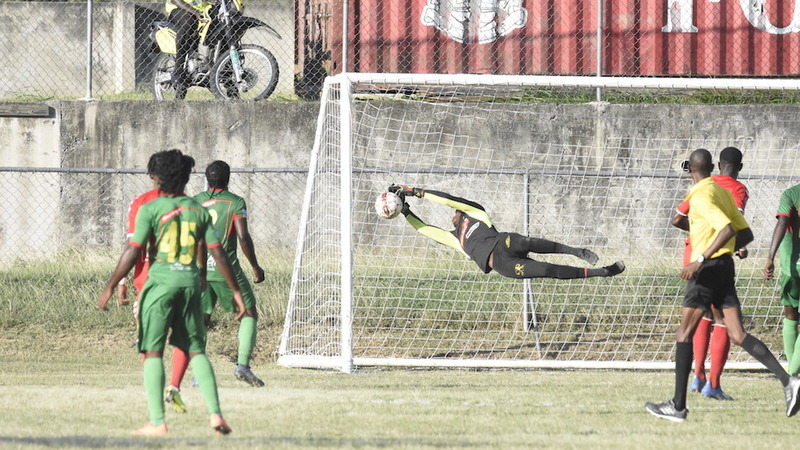 The loss intensified Montego Bay’s woes as, while Dunbeholden move to 23 points and out the relegation zone, they kept their position at the bottom of the table on 19. Dunholden’s rise was also as a result of a 4-0 loss by Reno to Tivoli Gardens at Frome Sports Complex. Colorado Murray scored a hat trick for Tivoli Gardens with goals in the 48th, 53rd and 90th minutes, while TKiven Garnett got Tivoli’s other goal in the 78th. Tivoli remained in seventh position, but joined Arnett Gardens on 34 points, while Reno dropped a place to 11th with Dunbeholden moving ahead of them. At Drewsland, the first half was a fast-paced duel with most of the action centred in midfield, with neither host Waterhouse or Mount Pleasant going close to scoring, despite a few goal-mouth skirmishes for both. Midway the second half, however, Waterhouse went close to scoring but goalkeeper Bobiander Evans superbly leapt to tip a Rafeik Thomas’ header, from directly in front of goal, over the crossbar. Minutes later, Waterhouse goalkeeper Diego Haughton was also called on to keep the score level, as Kemar Beckford robbed an opponent of the ball on the left flank and played it inside to Kadeem Davis, who returned the pass further down the flank. Beckford, after receiving the return ball, then dribbled to the top of the 18-yard box and unleashed a powerful shot at Haughton, who flung himself at the foot of the goalpost to avert the danger. The match ended with Mount Pleasant having bragging rights over Waterhouse this season, as they defeated them in the two previous rounds. Waterhouse’s Assistant Coach, Lamar Morgan was happy that his charges managed to get a point from the match, despite being disappointed in their finishing. Morgan said, “we are not pleased with the result but we did not lose the game, so we will just have to come again as actually in the final third I think we did not create enough chances and even when we created we did not capitalise. 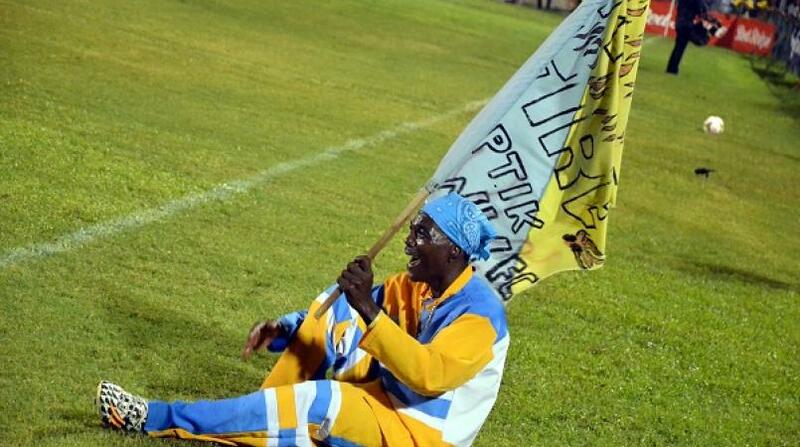 Mount Pleasant’s coach Donovan Duckie was happy with his team’s performance as well as the fact that they have gone unbeaten against Waterhouse during the preliminary stages.